(Leah Hogsten | Tribune file photo) Gov. Gary R. Herbert discusses Medicaid and other legislative topics during availability with media representatives on Feb. 7, 2019. During his State of the State address, Utah Gov. 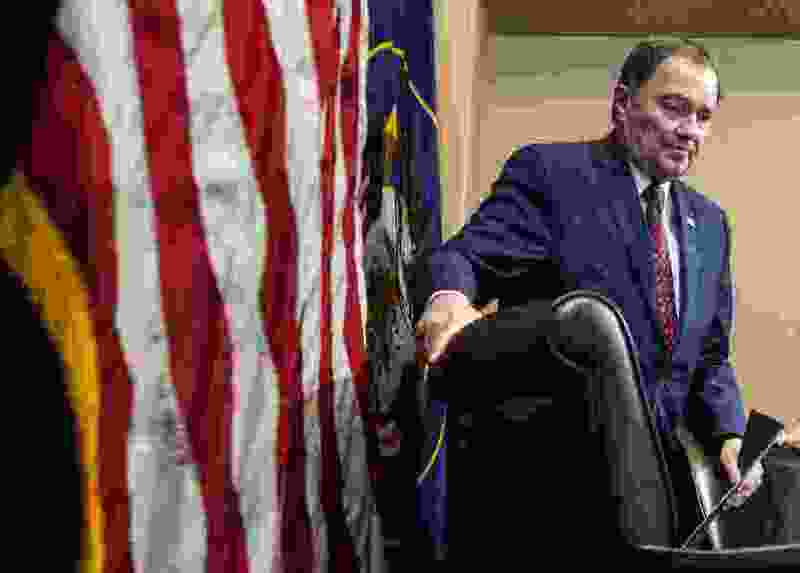 Gary Herbert said his No. 1 priority for the 2019 legislative session would be the development of a more equitable, simple and sustainable tax system. Now, after more than two weeks of debate dominated by Medicaid expansion, legislators say they’re ready to turn their attention toward tax reform and a potential tax cut of more than $200 million. But they’ve also expressed skepticism toward some pieces of the governor’s proposal. On this week’s episode of “Trib Talk,” Governor Herbert, his deputy chief of staff Paul Edwards and Kristen Cox, executive director of the Governor’s Office of Management and Budget, join Benjamin Wood to discuss potential reforms to the state’s sales tax.